Princeton and his newest cousin Noah <3. . HD Wallpaper and background images in the Princeton (Mindless Behavior) club tagged: princeton baby noah adorable. Happy Birthday Princeton & Du are so speechless!!!!! He is soooo cute I wish I could hold that cute little baby. OMT look at the little thing. NOAH better not turn out like Princeton or he is gonna be a heart breaker!!!! I Wish I Could Hold Noah..!! Jacob Would Be A Great Father.! If He Ends Up Like Jacob Then Idk What To Say..!! And What If Noah Grows Up And Looks Like Jacob.! Omg Im Going To Be SpeechLess Then. !ILY Noah And Jacob.! Jacob is such a beautiful person. He holds Noah so kindly and gently. I love him so much! awww i feel like carrying the babe.And to all the girls that thats going to b ur man well you guys need to look somewhere else becuz u guys might not know a lot about him and if you do you are a big stocker!!!!!!! awwwwwwwwwwwww that is sooooo cute!!! !i wish i was there!awwwwwwww! i remeber my ex now u can be my next...call meh ya woman!!! I can look @ dis pic & tell he will b a great dad! 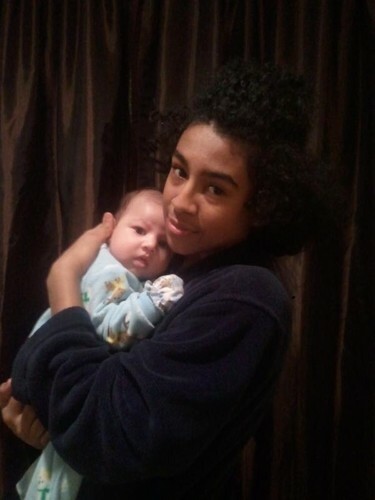 Awe so cute both Princeton and the baby! That is to cute, he is going to be a wonderful father one day ! Why do you guys say that? Can't he just be a great cousin for now... being a father takes more than just holding a baby. Romantic Liebe Story, Part 2!!!! !